Dance Lessons Designed Just for YOU! * Prices are subject to discount during Holidays and Special Promotions! 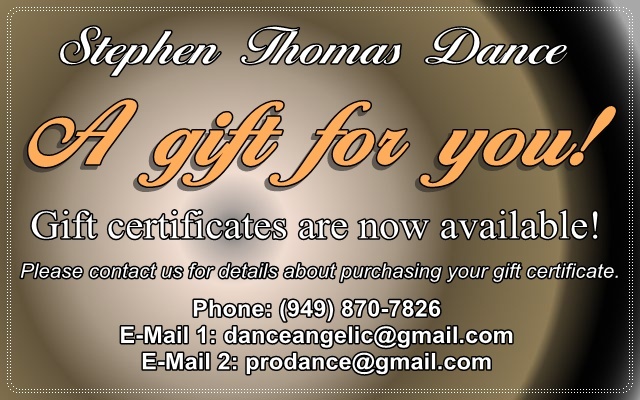 Latin Shows and Demonstrations, by Stephen and partner, include optional individual & group lesson(s) by request in and around Orange County and Los Angeles. Please visit our entertainers page for more information. You can also contact us for any other options, questions or special requests you may have about this service.